We all have our own little way of doing things to make our professional lives easier or better or clearer. Sometimes these are tools that we have stumbled across, other times recommendations from friends or colleagues and other websites or blogs similar to this one. One thing that Dinkum does at the foundation of all of our Internet Marketing campaigns is Search Marketing and, for the longest time, so much of what we did was very manual. Over the years we have adopted tools that makes us more efficient and improves what we do for our clients. These are the business tools (seo things) that I personally use on a daily basis to make sure that we stay on top of our game. iGoogle – this is my own little dashboard with relevant information that I have gathered and continue to gather. My page is pretty long but it contains quite a few very useful pieces which includes my email, calendar, client blog feeds, industry blog feeds, google hot trends, sticky notes…a lot of good stuff that can be viewed at a glance. Raven – there’s a lot to like about Raven, they’ve provided a great deal of value under one roof. All of our clients go straight into this tool including target keywords, Google Analytics not to mention the keyword research tools that they provide. For us though it’s the reporting capabilities that we love, taking what was once a very manual process and automating many parts of it. Social Mention and Google Alerts – a bit part of what we do is listening on behalf of our clients. What’s going on? Is there buzz? Are customers complaining? Are there opportunities we can leverage? For this, Google Alerts has traditionally been our tool of choice but increasingly we have been in need of something a little more comprehensive which is where www.socialmention.com comes in. Pop your keyword in (or URL) and create an email alert or grab the RSS feed and pop it into iGoogle. Open Site Explorer – this tool built by the folks at SEOMoz (also a very useful resource) provides a wealth of relevant information about a website or competitors. It shows the number of links, anchor text distribution and linking pages as well as their own rating scales. Tweetdeck – This has become my tool of choice for updating my Twitter, Facebook, Linkedin and Foursquare accounts as well as a very useful realtime listening option. Best of all its free….for now (it was recently bought by Twitter, so we will wait to see what happens next). 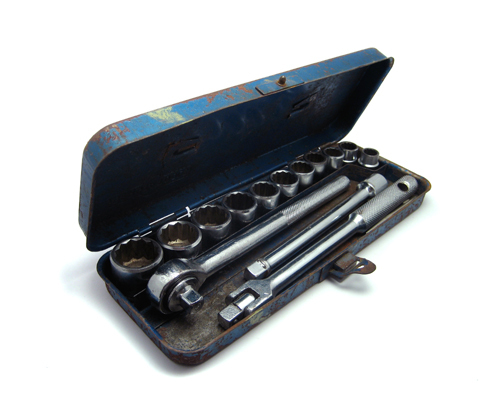 What tools are in your daily toolkit? Share with us in the comments.